Welcome to Alyth and to St Louan's.. Tucked away in the centre of the pretty Perthshire town of Alyth, our comfortable cottage is perfectly situated for your self catering holiday. 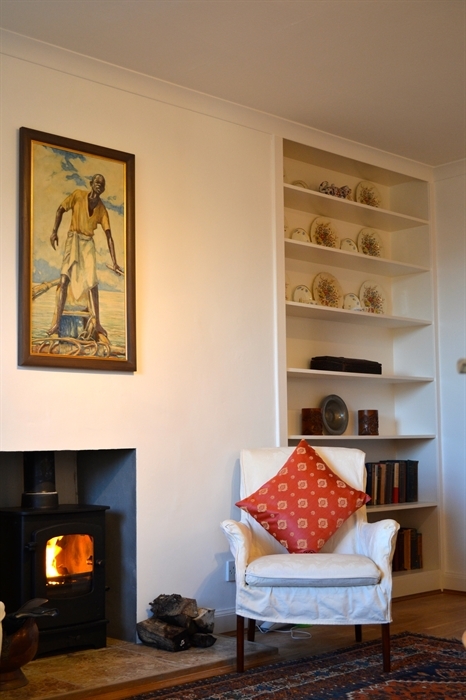 St Louan's is a beautifully presented 19th century cottage, which can sleep up to 6 people in 3 bedrooms making it an ideal choice for a family holiday. The Cottage is close to the Cairngorms and many of the beautiful places in Central and Eastern Scotland, and is the ideal base for exploring the glens, mountains and lochs at any time of year. One of the great things about staying at St Louan's is that there are plenty of things for you and your family to do. There are 3 golf courses in Alyth, Alyth Golf Club, Strathmore Golf Centre and Glenisla Golf Club. There is also Blairgowrie Golf Club about 6 miles away which has 2 championship courses - one of which held the Junior Ryder Cup competition in 2014 and a 9 hole course. Alyth also has its very own mountain bike track on Alyth Hill. You can hire bikes in the town or bring your own as we have plenty of storage available. There are a range of local walks available straight from your door, making it the ideal base for your Scottish walking holiday. The Cateran Trail is on your doorstep and has been described as 'the sort of Scotland that walkers dream of'. You can also fish locally, watch wildlife, visit castles and distilleries and in the winter time, ski at Glenshee.